David began his legal career in the Washington, D.C. and Northern Virginia, where he established himself as one of the most prolific and successful young trial attorneys in that region. In 2008, David returned to his home state of Kentucky for the opportunity to join PPOA and its group of trial attorneys. Since joining PPOA, David has limited his practice to complex litigation, and focuses primarily on defending hospitals, doctors, and other healthcare professionals in medical malpractice claims. He also has an active products liability practice, generally focusing on medical device litigation. 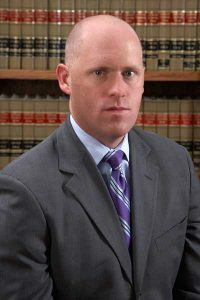 David graduated from the University of Kentucky College of Law in 2001, where he was a member of the Journal of Natural Resources and Environmental Law. After completing a federal court clerkship and state court clerkship, he moved to the Washington, D.C. area to begin his career in private practice. He had an active litigation practice in Washington, D.C. and Northern Virginia for approximately seven years. During that time, he handled over 20 jury trials as lead counsel, all with successful outcomes for his clients. His practice was general insurance defense litigation, but he also handled products liability claims, toxic tort claims, construction claims, and minor criminal defense matters. David was born in Bowling Green, Kentucky. He began his education at the University of Louisville J.B. Speed School of Engineering on a full academic scholarship. He ultimately decided to pursue a legal career and obtained a Bachelor of Arts degree in Political Science in 1998. He enjoys cases where he can utilize his scientific and technical background, which is why he now focuses on cases with complex medical and scientific issues. David is an avid sports fan and enjoys reading and traveling in his spare time. He also enjoys contributing his time to charitable activities and regularly participates in events with the American Cancer Society, March of Dimes Foundation, Kentucky Humane Society, and Golden Retriever Rescue & Adoption of Needy Dogs (“GRRAND”). Trial counsel defending a hospital accused of negligence related to the labor and delivery of a child who ultimately developed cerebral palsy. Plaintiffs claimed damages exceeding $40 million. After more than four weeks of trial, the jury returned a unanimous defense verdict for the hospital. Trial counsel defending a physician accused of negligence for multiple complications arising out of a gynecological surgical procedure. The Plaintiff, in her young twenties, claimed permanent injuries and lifetime impairment. The jury returned a defense verdict for the physician. Trial counsel defending a driver involved in a major trucking accident. The Plaintiff sought damages related to serious neurological complications and was awarded $1.6 million against a co-Defendant. However, a jury unanimously returned a verdict finding David’s client was not at fault. David obtained summary judgment in a Federal Civil Rights action on behalf of a company responsible for providing nursing care to inmates at local jail facility. The Plaintiff claimed that the negligence of the nursing staff caused the inmate to have a seizure and severe neurological injuries. Following the completion of discovery, summary judgment was entered on behalf of the nursing staff and their employer.